Whether planning a weekend away in the South West city or are in the area for business, one of our Novotel hotels in Bristol city centre is perfectly located to get about with ease. 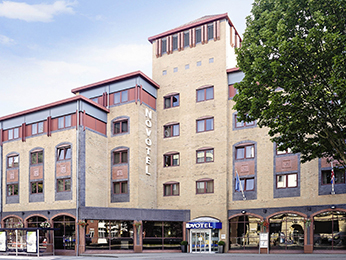 Situated minutes from Bristol Temple Meads station, our Novotel is well suited for a city break with the family – with kids staying for free as standard across all Novotels. And what’s more, there are plenty of things to keep the little ones occupied during your stay in the South West too. Meet and greet the penguins and gorillas at Bristol Zoo Gardens – the fifth oldest zoo in the world – or, if you don’t have a full day to spare, find Nemo and his friends at the city’s aquarium. For those of you on the hunt for culture, take a trip to Brandon Hill Park and ascend the 108 steps of Cabot Tower to get a wonderful view of the city in all its glory. If heights aren’t your thing, then spend an afternoon getting to know Bristol on foot, with there many interesting side streets and independent shops to discover along the way – keep on the look out for some of the numerous Banksy pieces in his home town. Finally, no trip to the area is complete without crossing the Brunel-designed Clifton Suspension Bridge in the west of Bristol. A symbol for the city, the grade 1 listed bridge spans the picturesque Avon Gorge and has joined Bristol and North Somerset for more than 150 years. Pay the £1 toll to cross the bridge and take in the Avon Gorge’s picturesque landscape.